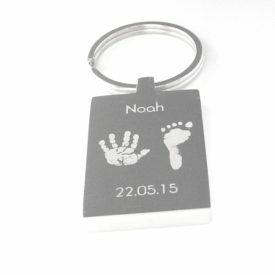 View cart “Hand/Footprint Engraved Square Keyring” has been added to your cart. 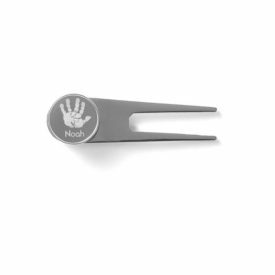 Made from stainless steel this unique bottle opener keyring is engraved with the actual hand and footprints of your little one. 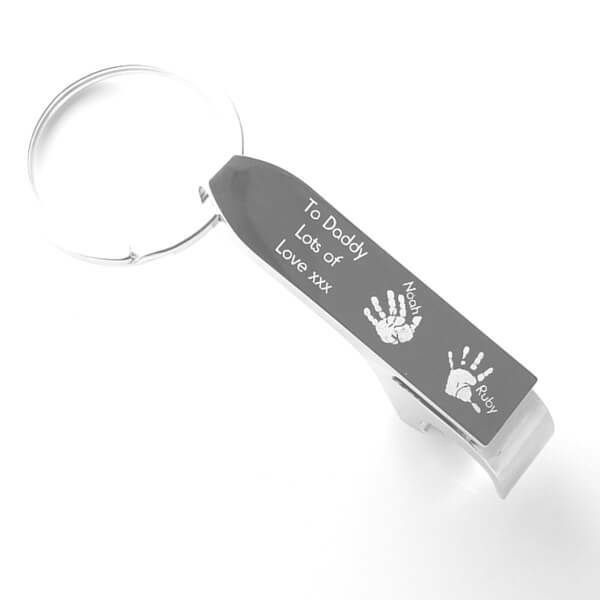 Each keyring can feature up to four prints, making it the perfect gift for a Grandad or Dad. 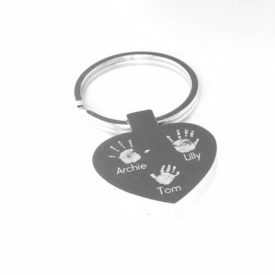 When choosing less than three prints there is also room for a short personalised message to be engraved onto the keyring. 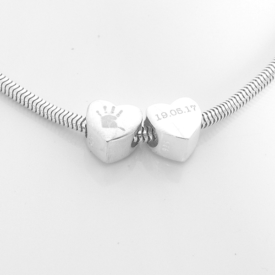 Making a truly special gift to be treasured always.